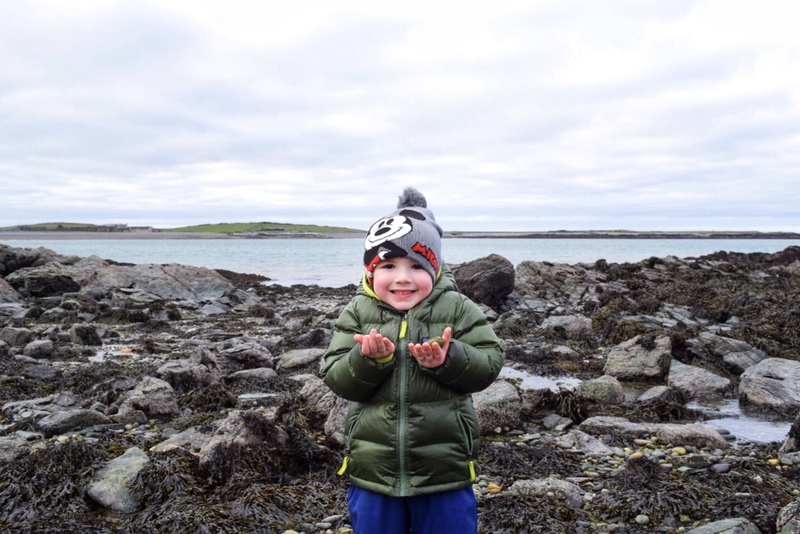 It’s no secret that Anglesey is one of favourite destinations for a family escape in North Wales. It’s such a beautiful island that we tend to take the relatively short drive over as often as we can. 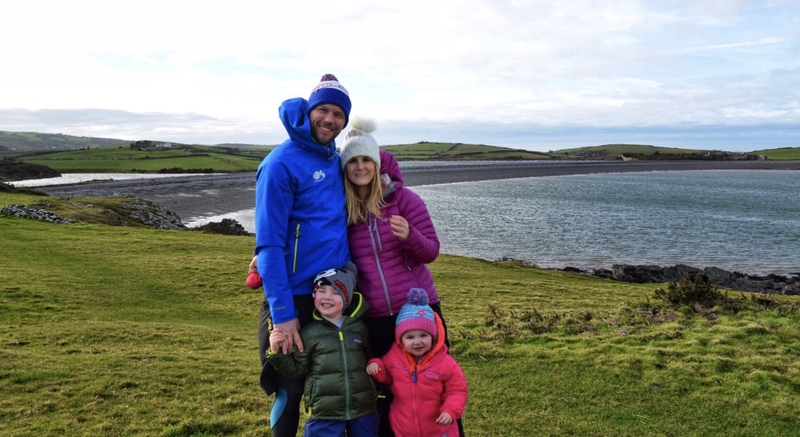 As much as we love our tried and tested favourites, we’re definitely a family that likes to explore new landscapes in the search for new experiences. 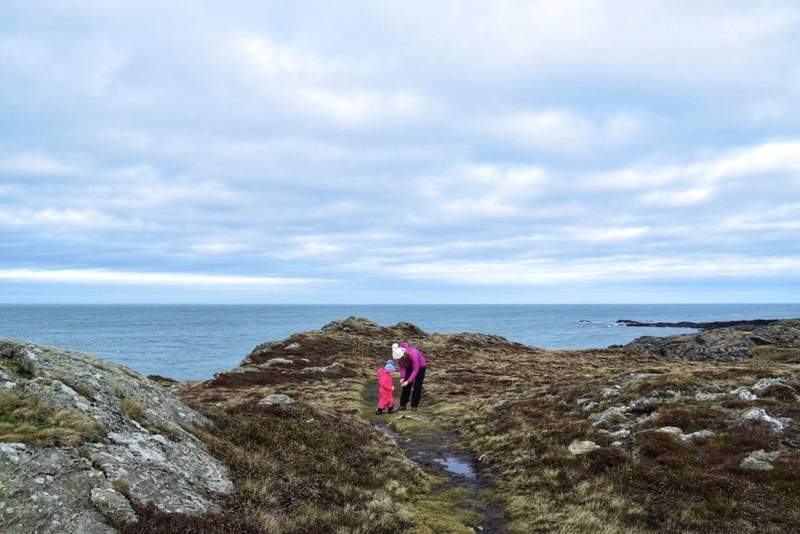 Consequently, having never previously visited Cemlyn Bay, we decided to pack the rucksack and child carrier into the car and head over for a day of walking this northern section of the Anglesey Coastal Path. On arrival, we soon wondered why we had never been to this part of Anglesey before. The delightfully narrow, crescent moon bay sweeps round right in front of the car park, separating the sea from a saline lagoon. In fact, many people will tell you that this slither of land that divides these two bodies of water is the best example of its kind in the whole of Wales. I’ll be honest: it’s pretty difficult to disagree with that sentiment. The place is gorgeous! The thin slither of bay separating the sea on the right and the saline lagoon to the left. 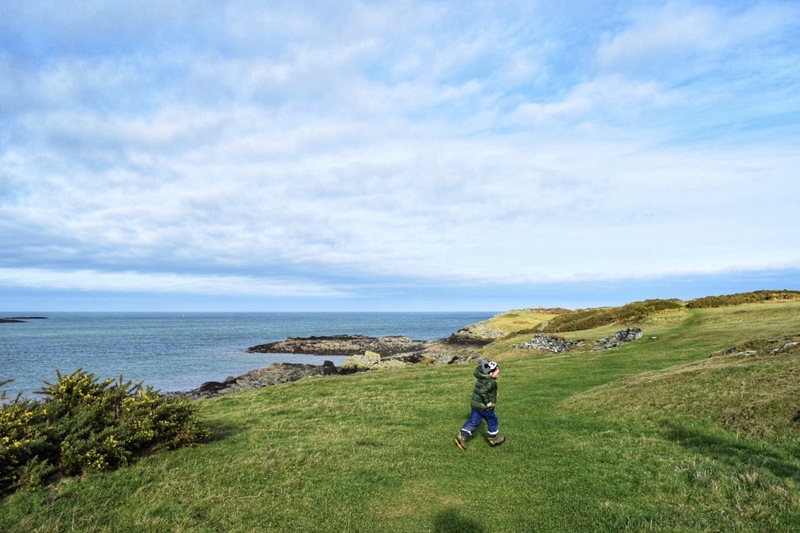 As Cemlyn Bay is located on a section of the glorious Anglesey Coastal Path, there is one very obvious trail to take. You’ve just got to choose your direction. However, there are also a small number of other routes accessible from the bay, should you wish to mix things up a little. That said, this section of the coastal path is definitely one to be explored and cherished. Explored because in addition to the enchanting bay and lagoon, you have a lovely, easy, grass and stone trail that is very accessible, even if you have little-legged toddlers like us. 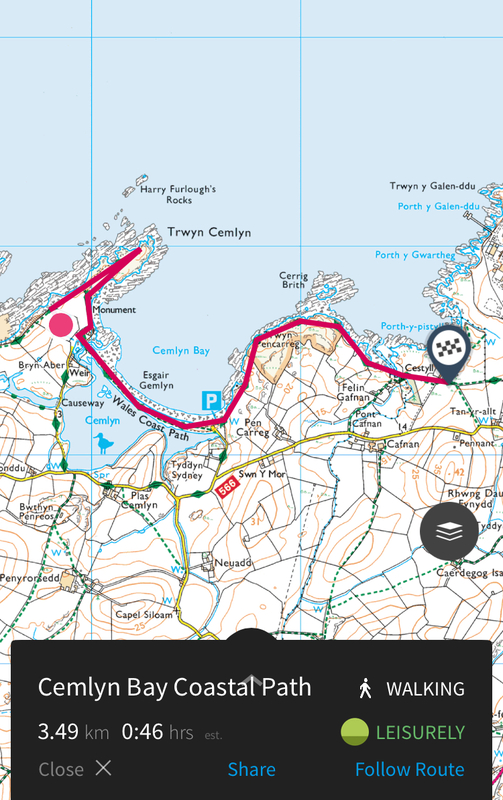 Cherished because this section of the Anglesey Coastal path has also got to be one of the quietest. Despite not rocking up in our usual fashion at daft o’ clock in the morning before the cockerels had roused everyone with their daily chorus, we still only bumped into a couple of people during our time there. It really is seriously quiet! You could take a picnic, walk and explore for hours and still feel like you have the place pretty much to yourselves. Exploring the rock pools with the kids. On the way back from our walk we decided to drop down an easy embankment to gain access to the rocks below. This gave the kids a great opportunity to explore the rock pools and search for crabs and snails. It also gave our eldest the chance to clamber over and up many of the rocks, which he absolutely adores. He’s definitely a scrambler and boulderer in the making. In terms of advice, the trail is very flat and, in most places, very wide. 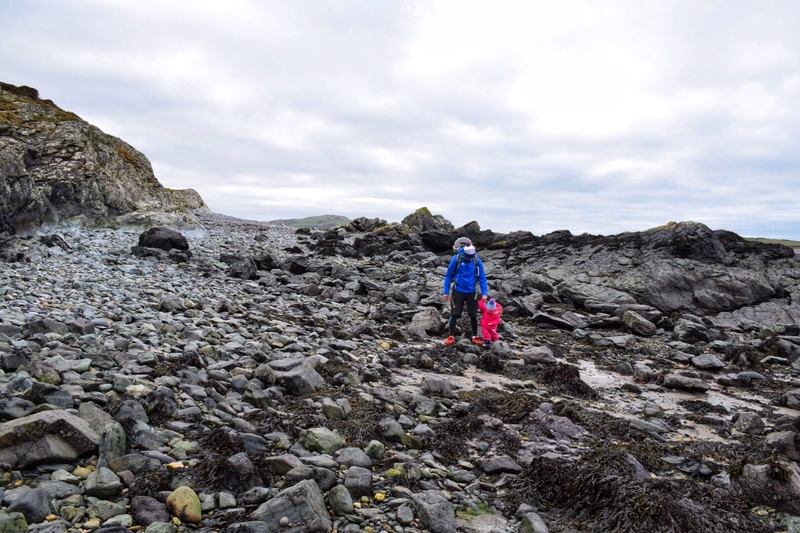 However, there are just a few sections walking in the direction Wylfa nuclear power station where care must be exercised if you’ve got very little ones with you. Although the drop isn’t huge, there is a section, adjacent to one of the kissing gates, where the path narrows. Here, there is also a drop onto the rocks below. As I stated, the drop isn’t huge, but it’s certainly one to be aware of. Speaking of the former power station, this is the one slight blight for me. It is one very ugly building to have sitting in the middle of all of this outstanding natural beauty. During its lifecycle, it obviously provided a great service to the people of North Wales and to the economy of Anglesey but, that aside, it’s still an aesthetic blot on the landscape for me. Fortunately, if you’re walking this section of the coastal path it’s not really in direct view for too long. Whatever you do, don’t let the fact that it is in the area stop you from going to Cemlyn Bay. That would be a tragedy. 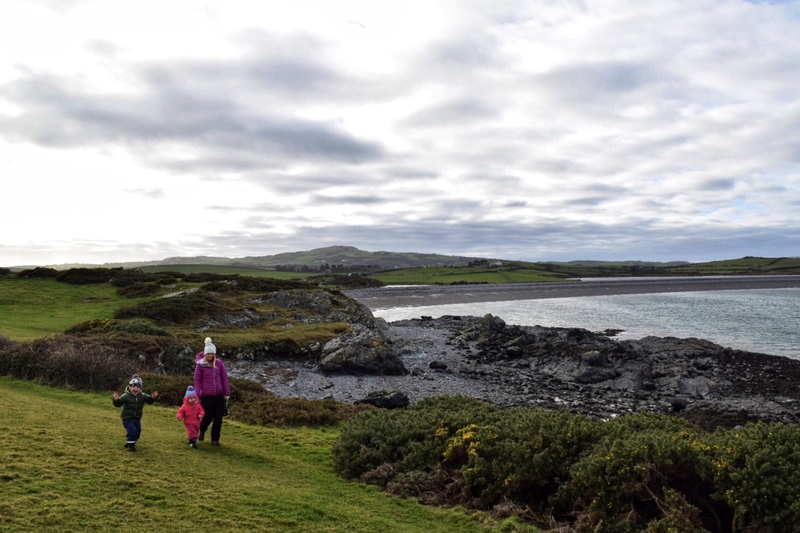 All in all, Cemlyn Bay and lagoon is a genuinely gorgeous place to enjoy a family coastal walk. 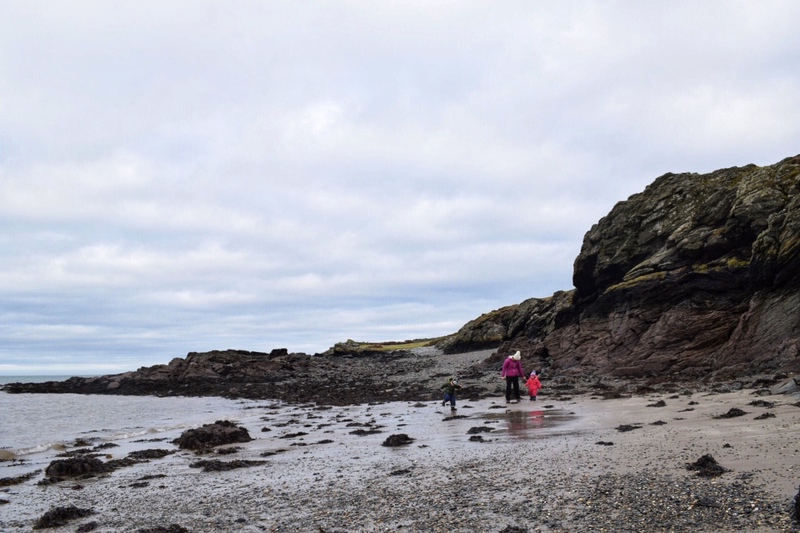 Its easy terrain makes it ideal for family walks, while the rock pools will provide hours of exploratory fun. Whereas we decided to spend time exploring the lagoon and rock pool, covering only 7km/4.3miles (there and back), you could easily dispense with this to cover more of the coastal path. The beauty is you have choices. Then, to top it off, you have one of the best crescent bays anywhere in Wales to enjoy and meander along. Next time you’re in Anglesey, check it out. The route easily planned out on my OS Maps app. Oh this would just be amazing for my daughter. She just adores rocks haha. 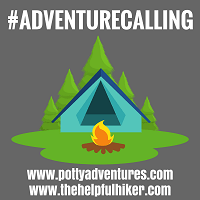 Your pictures look amazing and it sure looks like a lovely trail to hike on. Really love the fact that it’s just so quiet, really nice! Been years since I visited Cemlyn, it used to be an annual trip to see the tern colony (Roseate specifically) when I chased birds. A beautiful area. Looks amazing – great photos. I wish we lived nearer the coast. Time for another trip to North Wales I think. 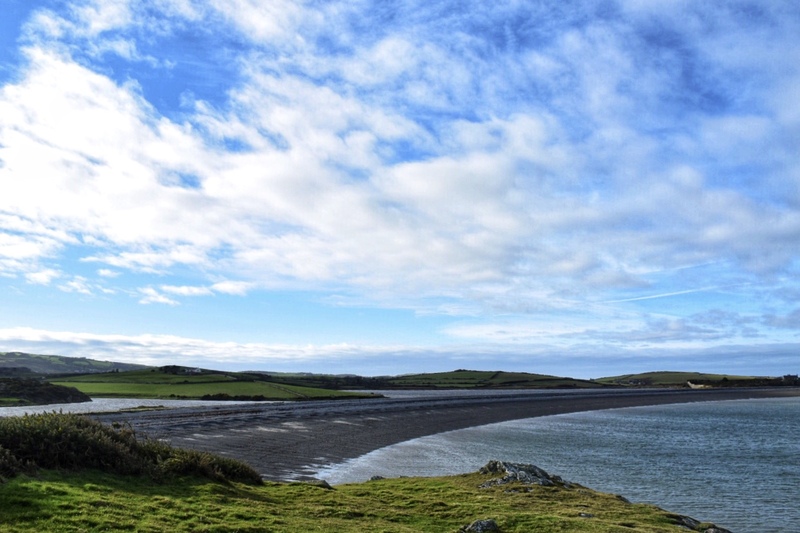 With such a big sky, a crescent-shaped bay and rockpools to explore, this reminds me of Connemara, in the west of Ireland. Great photos and beautiful writing to boot too! What a lovely day to be outside. Cheers! Looks like an excellent walk. 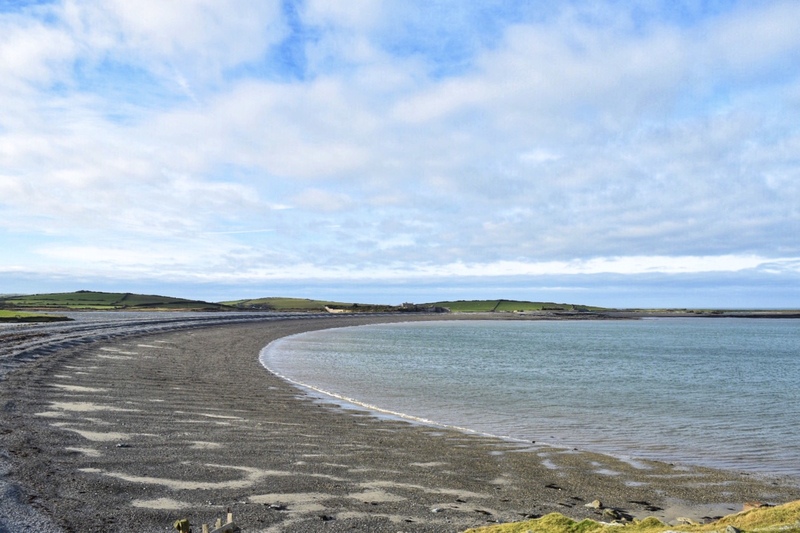 We’ve never been to ANglesey but it looks great, you can’t beat a coastal walk. We tend to head to the sea for flatter walks with good views, it’s a shame about the power station, but the rest looks fab.